However people (or some of you) don't agree, actually they think that their favorite browser is the fastest one. Even they don't systematic benchmarking system and software, to support their statement. You can't deny the fact that Opera scores maximum in the ACID 3 test, one of the most popular browser benchmarking system (Industry Standard). Opera is not only faster but highly optimized for the congested networks with it's Opera Turbo. I have only a GPRS connection, which hardly gives speed of 1kBps to 2 kBps, and Opera Turbo works fine for me. What's New in Opera 10.60 Beta? Opera 10.6 is faster then 50% faster than it's predecessor, handles Java scripts very well. Browser plays an important role to find your location. This works as an Aid for search engines local search (eg Google Local Search, Bing Local Search) to provide best result in your locality. Opera now supports high quality open video format WebM. You can now view this video inside your browser. I need to check some codecs now. Now use word processor, image editor, spreadsheets and many more applications, inside your browser even when offline with Appcache. Web Workers is for developers who can encode and program HTML 5 without much load. Like popular Google search suggestion, Opera 10.60 beta is well equipped with search suggestions for some partners like Wikipedia. Like the previous version thumbnails are included in tab which can be replaced by icons, giving you more space. 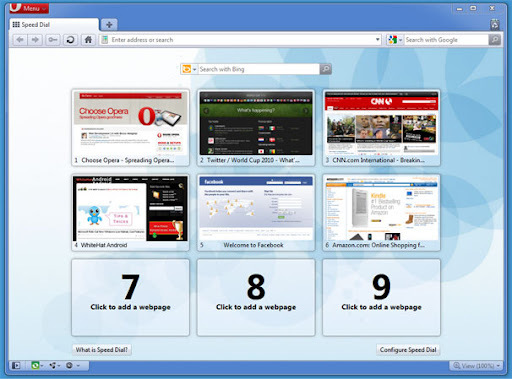 New graphics have been added to speedial, tabs, icons, thumbnails, making Opera more beautiful. The speed dials have been widened, covering extra spaces remained. Opera Turbo downloads and renders the images in progression, so provides rescue for slow connection. Opera Turbo gives you browsing experience at slowest possible internet connection, like me. I use opera link to synchronize my bookmarks, speed dials, notes live from my mobile phone Opera Mini to Opera web browser. Opera unite lets you share files with great flexibility and works as web server. 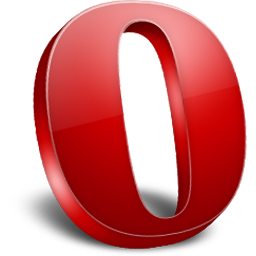 So friends do you like the new features of Opera? Have you downloaded beta? Do you already use Opera, or is it your favorite browser? Share your experience with us, leave a comment. Opera 10.60 will be good for me as i use dial up connection. @Shabnam it is best for dialup connection. I like Firefox! But want to give it a try. 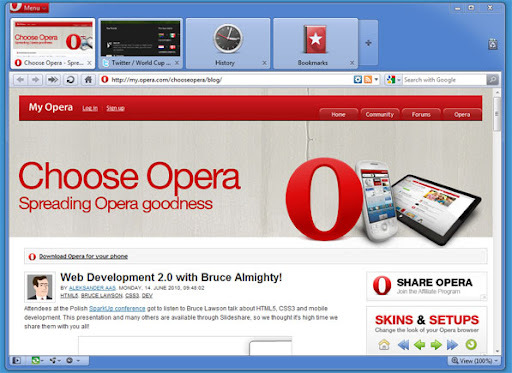 I only wish one thing from Opera, they should start support CSS3 like other major browser. So, that designer get little easy moment while designing. @Arafat waiting to css3 update after HTML5, in the next opera10.70 release. @Tanmay I hope you get good experience with it. I was a fan of Opera before, but now I prefer Chrome. I think I need to give this a try.